Suitable for residential or commercial settings, Deep Espresso Walnut laminate flooring from Home Decorators Collection is ideal for any floor or any room regardless of humidity level. These hearty floor planks measure 4-7/8 in. wide with a textured finish and rich wood-grain visuals that produce an authentic look. Installation can be performed over concrete or wooden subfloors with floating-click assembly that allows the eased-edge planks to snap in place. 19.13 sq. ft. per case. Case quantity: 12. Case weight: 29.3 lbs. 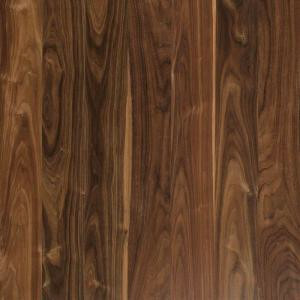 Buy online Home Decorators Collection Deep Espresso Walnut 8 mm Thick x 4-7/8 in. Wide x 47-1/4 in. Length Laminate Flooring (19.13 sq. ft. / case) HDC502, leave review and share Your friends.